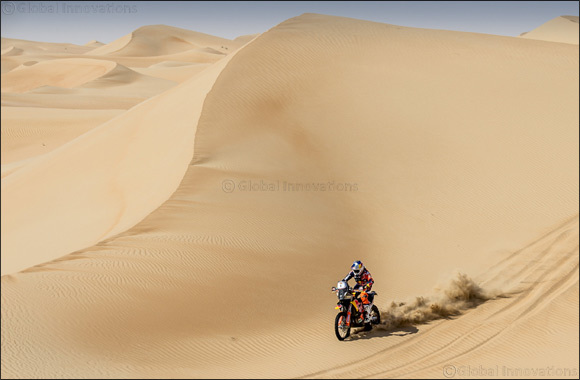 Abu Dhabi, UAE, 30 March, 2019: The UAE’s Khalid Al Qassimi and Saudi Arabia’s Yazeed Al Rajhi will be battling the odds, and event history, when they each set off in pursuit of victory tomorrow morning in the Abu Dhabi Desert Challenge powered by Nissan. Taking place under the patronage of HH Sheikh Hamdan bin Zayed Al Nahyan, the Ruler's Representative in Al Dafrah Region, the Desert Challenge is supported Abu Dhabi Aviation, Abu Dhabi Police, ADNOC, Al Ain Water, Al Dhafra Region Ruler’s Representative Court, National Ambulance, Nissan, United Arab Emirates Armed Forces and Yas Marina Circuit. The Nissan Patrol is the official car for the event.